Who do you trust with your new grips? 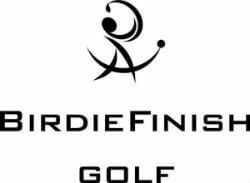 BirdieFinish Golf is a TRUE grip expert. We understand what a perfect grip does to your game. Here you get the same service as the Tour Players do in their Tour Vans. Professionally fitted and installed. It's the quickest way to improve your game! We as true grip specialists will explain you the differences between different kind of grips. We will measure your hand size and explain you why a certain grip size is a better fit for you. You will also be able to test different grips sizes so that you will be 100% confident with your new grips. Firmer rubber grips? Tackier rubber grips? Softer but tacky grips? Cord grips? Half cord grips? Colorful grips? Special Japanese super tacky grips? Team colors? Come see us! Let's make your new grips work for you.